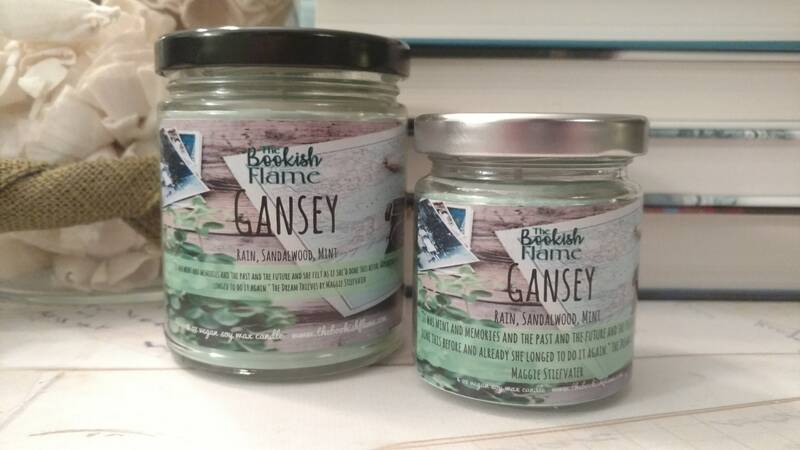 Save Gansey! 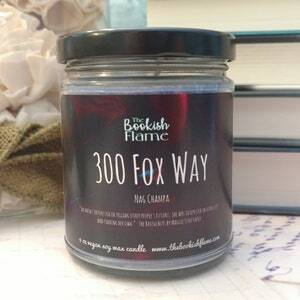 A candle in honor of one of my favorite book boyfriends. The first time Blue meets Gansey, she meets his ghost on All Souls Eve. The shoulders of his Aglionby sweater are wet with rain. Later, she meets the living Gansey and has to reconcile the wealthy, know-it-all man with the bookloving, mint chewing boy. All my candles are made with natural soy wax. Soy wax is clean burning and frosting, cracking, and dipping on the surface is common. 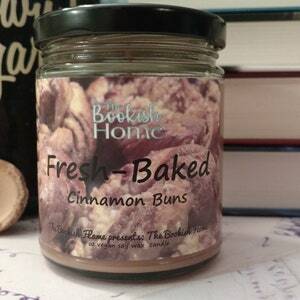 Each candle is hand-poured in small batches. Because of this, there may be slight variations in appearance, color, and fragrance strength from the candle pictured. 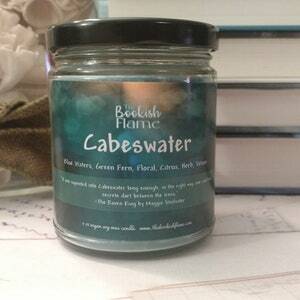 Candles are made in small batches and colored by hand using liquid dye so color may vary. I ordered this and two other candles. Shipping was quick and the seller was very friendly and informative. Will definitely be ordering from this shop again. Amazing! The color, the scent! Everything! 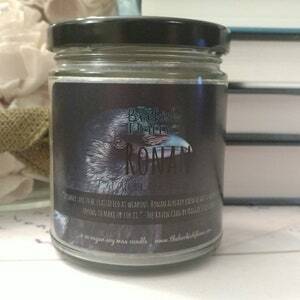 I also got a free little melt named Ronan which smells good! Will def buy from here again! I’m not burning for awhile cause it’s for my new apartment in the fall but I’m so excited! It’s brightly colored and smells really strong! I wish they came in bigger sizes cause I would def buy it! Great shipping time! 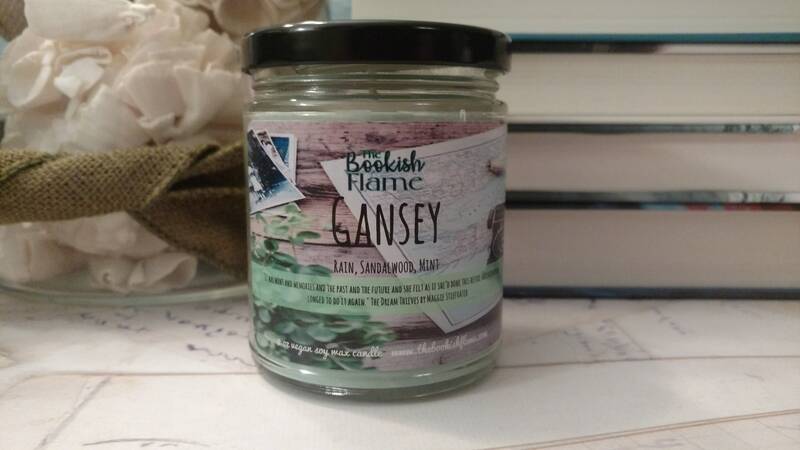 Excited to give this candle as a gift to a huge Gansey fan!